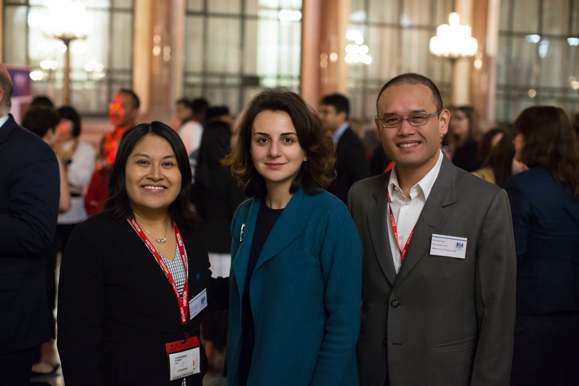 Chevening Partners, Scholars, and Alumni gathered at the Foreign and Commonwealth Office on Wednesday, 21 March to share stories about the ‘life-changing’ Chevening programme, in an evening held to thank partners for their support. Chevening Partners fully or partially support 25% of the 2017/2018 Chevening cohort of 1,650 scholars. Partners play an important part in the Chevening programme, with their contributions allowing us increase the number of scholarships that we provide to more than 160 countries around the world. The assembled then heard from Ananda Lakshmikumani, a Chevening HSBC Scholar from India studying Climate Change, Management and Finance at Imperial College London. Ananda spoke about the friendships that she had made and the opportunities that had come from her partner-funded scholarship. These included meeting the CEO of HSBC India, Stuart Milne, at the British High Commissioner’s residence in India, along with a tour of the HSBC headquarters in Canary Wharf in London. Ananda also had the chance to meet two inspirational role models: Nobel Prize winner and social entrepreneur Mohammed Yunus, and Christiana Figueres, former chief climate negotiator at the United Nations. She said her course at Imperial College would help her gain expertise in climate change finance and contribute to making the world a better place. ‘Being a Chevener gives me confidence, credibility, visibility, and networks,’ she said. 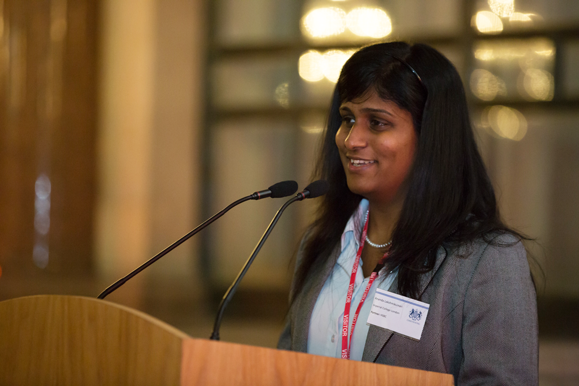 At the end of her year in the UK, Ananda will join the global Chevening Alumni network. 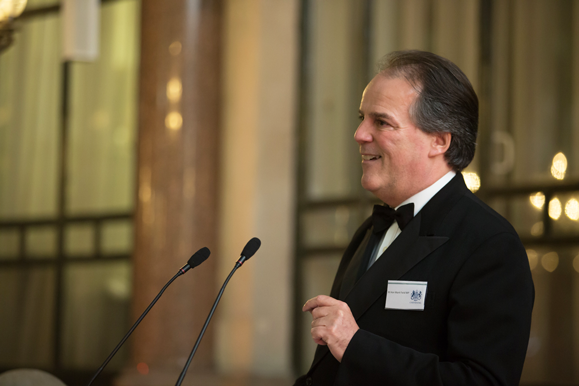 This exclusive group, featuring presidents, prime ministers, business leaders, and activists, is set to celebrate its 35th anniversary since the launch of Chevening in 1983, welcoming its 50,000th member later this year. 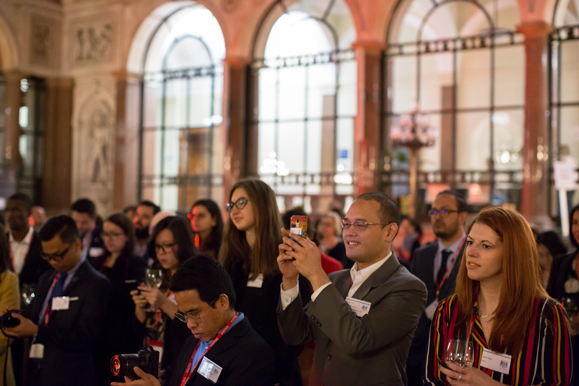 An evening of networking followed Ananda’s speech, with university and corporate partners able to meet and make connections with scholars over drinks and canapés in the Durbar Court. Chevening is helped by a total of 116 partners in 2016/2017, and many of these organisations were represented on the evening. The programme receives funding from 72 corporate partners supporting 290 scholars, 42 university partners who co-fund 117 scholars, and two corporate fellowship partners who are co-funding 20 fellows to study in the UK. Chevening Partners share a belief in the transformative nature of studying at a world-leading UK university, and also understand the mutual benefit that comes from supporting talented professionals from around the world. If you are interested in finding out more about Chevening Partnerships, please visit www.chevening.org/partners, or email the team at partnerships@chevening.org.